The rent at Vantage at Brooks City Base Apartments ranges from $900 for a one bedroom to a $1,500 two bedroom. Apartments in this building are about 3% less expensive than the San Antonio average. This is a pet-friendly apartment. This apartment is in San Antonio. Nearby parks include Pickwell Park and Brooks Park. Vantage at Brooks City Base Apartments has a Walk Score of 43 out of 100. This location is a Car-Dependent neighborhood so most errands require a car. 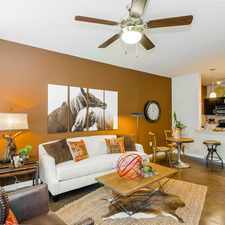 Welcome to your new home at Vantage at Brooks City Base in beautiful San Antonio, Texas! Our newly built community puts you in close proximity to fine dining experiences, shopping, entertainment and more! Vantage at Brooks City Base will show you how important the right setting can be in enjoying the classic moments in life. Explore how far you can travel by car, bus, bike and foot from Vantage at Brooks City Base Apartments. Vantage at Brooks City Base Apartments has some transit which means a few nearby public transportation options. 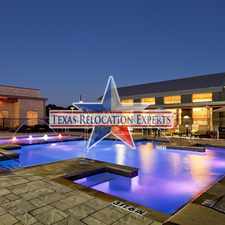 Vantage at Brooks City Base Apartments is in the city of San Antonio, TX. San Antonio has an average Walk Score of 38 and has 1,327,407 residents.